Munzee – Scavenger Hunt » Announcing the NEW Player Of The Month program! Announcing the NEW Player Of The Month program! After many months of hiatus we’re excited to announce a revamping of our Player Of The Week program! The new Player Of The Month program will work similarly to it’s weekly precursor, with a few notable differences. Player(s) Of The Month will be based on a different set of criteria each month. For example we’re kicking off January by highlighting some of our world-renowned Virtual Garden builders! Read the entire blog post to see how you can nominate others! The all NEW Player Of The Month badge! Say CONGRATS to brandikorte and mnbball as the first POTM winners! AND It wouldn’t be right to award the builders of gardens this honor without acknowledging the people who built the first tools! Laczy76 and TheMachman These two will also receive the POTM badge for their work in the Munzee community. These builders have done fantastic work developing Virtual Gardens with the help of the worldwide community. 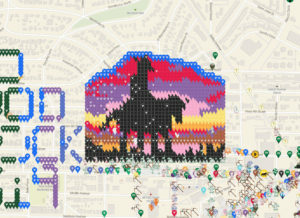 You may recognize brandikorte’s Sunset Cowboy Garden in Ft. Worth, TX. Those in the Minneapolis, Minnesota area may recognize the Burger or Pizza Gardens by mnbball. There might be some more news regarding these Virtual Gardens too, so stay tuned! If you know a GREAT virtual garden builder please provide two things for us: 1) username 2) Map hyperlink to the garden — email this information by January 28th to iloveyou@munzee.com so we can choose additional POTM for January. During some months we may ask for nominations from our players based on that month’s criteria and we will choose recipients based on those details. 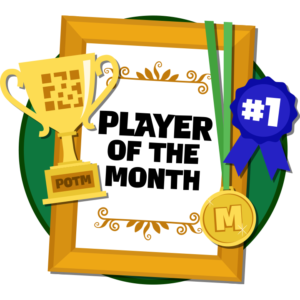 Anyone who earned the Player Of The Week badge previously IS able to earn the Player Of The Month badge as well! In other months we may automatically award the POTM badge to players who meet certain requirements. The Player Of The Month requirements for February are based on Super Streaks! If you have captured and/or deployed every day for more than a year you will be rewarded. These dedicated players don’t believe in a day off, but their hard work is helping grow the map! Earn the Super Duper ULTRA Streak badge by capturing and deploying a munzee every day for a year! The only requirement is that you have captured AND/OR deployed for at least 366 days straight at any point in your Munzee career. 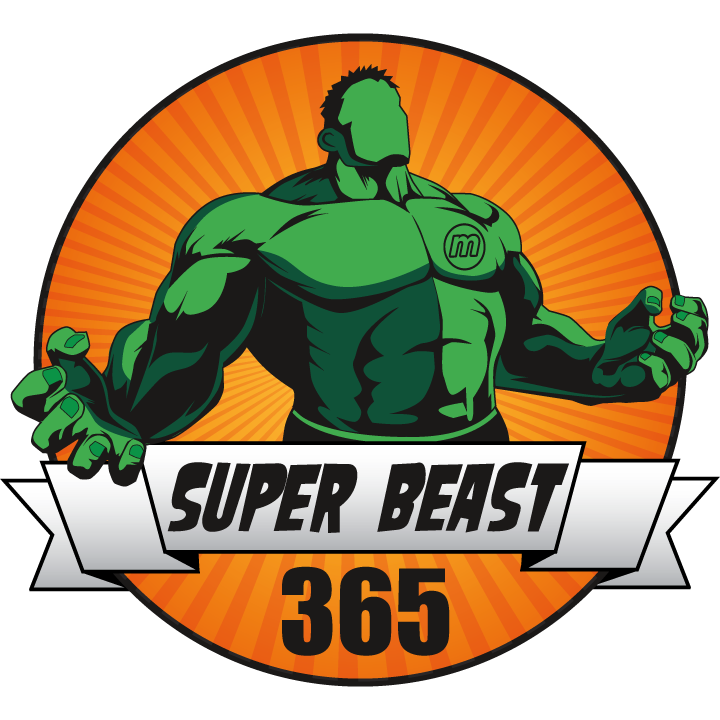 Even if you completed the Super Beast badge three months ago you will still be rewarded, if you didn’t stop at 365. Badges will be awarded February 28th. Don’t forget, we have monthly Resolution Streak badges for capturing a munzee every day! These reset each month so you can still earn February if you missed a day in January! Maybe there will even be some new long term Streak badges for those who didn’t give up after a year??? Stay tuned for more! We’re excited to kick off the new Player Of The Month program and challenge you all to play the game in many different ways! We plan to recognize the worldwide nature of the game this year. As always thank you all for your dedication to the game! Munzee on! This entry was posted in ANNOUNCEMENTS, Badges, Community Stories, GAMEPLAY, NEWS, PLAYERS, UPDATES and tagged 21st century scavenger hunt, app, capture, clan, deploy, event, EVENTS, eventzee, exercise, family fun, fitness, friends, fun, game, gardens, geocaching, GPS, health, hide and seek, international, iphone, McKinney, mobile, munzee, mystery, mystery virtual, outdoor, play, player, player of the month, player of the week, points, POTW, QR, QR code, scavenger, scavenger hunt, sighter, special, team building, technology, tour, travel, trip, virtual, virtual gardens on January 18, 2019 by Team Munzee. Global Grub Special Dropping This Afternoon!